Cooking has taken a back seat in my life. Right now its just Aaira and bits of Zaara. Having my parents down during this time has been such a blessing. Aaira is now 7 weeks old, and we are slowly getting into a routine – but everyday is still different, and I feel much more in control as time passes! We go out more often and we get more time to spend as a family. Few weeks ago, Mr Z asked me to join him grocery shopping, without the kids, promising we would be back within half an hour. Though I went in anticipation, It was a welcome change. It had been a while since I picked up fresh fruits and veggies and I got the freshest bunch of Palak(Spinach) from the grocery. Im a huge Palak fan,and love it in Dals, salan, currys etc. My mum in law makes an aloo methi gosht and we love it! Its one of those dishes which I never get bored having. 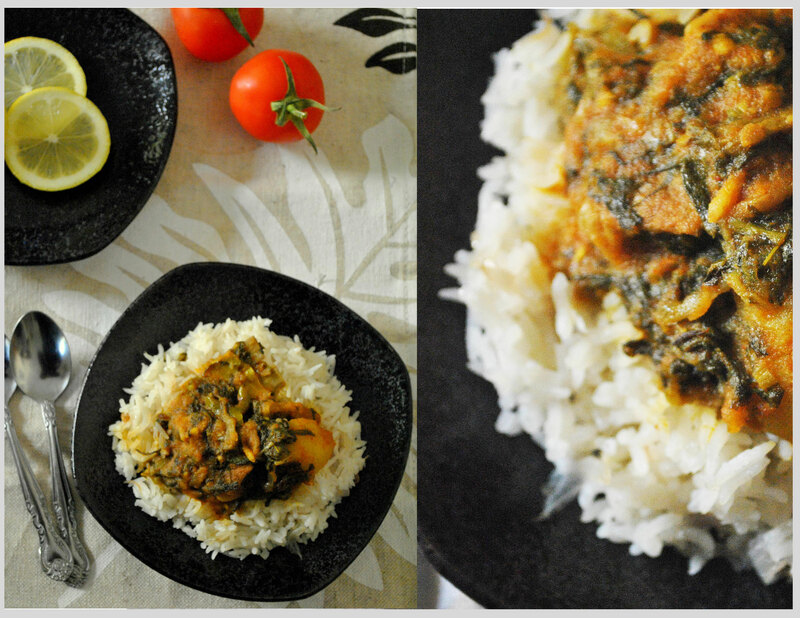 This is inspired by that dish, its palak instead of methi(Fenugreek) leaves. Heat the oil in a a pan, add the whole garam masala (3 cloves, 4 peppercorns, 2 whole cardamoms, 1 inch piece of cinnamon, 1 teaspoon whole cumin seeds). After they pop, and add the onions and cook until transparent(care not to brown). Add the potatoes and continue to cook until the onions are golden brown, add the lamb and cook until the meat is brown all over. Add the tomatoes, garlic and ginger and simmer for 40 minutes. 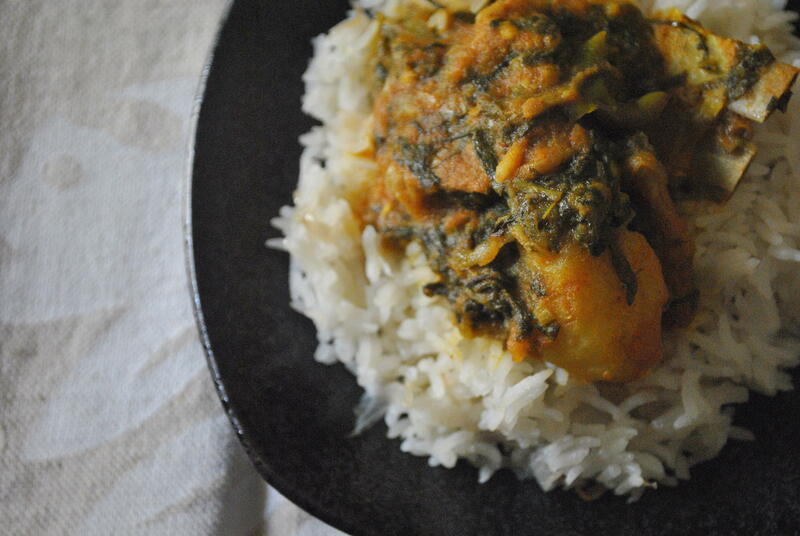 Add the spinach, mix and add the water and simmer for a further 20 minutes or until the lamb is cooked. This dish is probably the only one I cooked, though I have been baking! 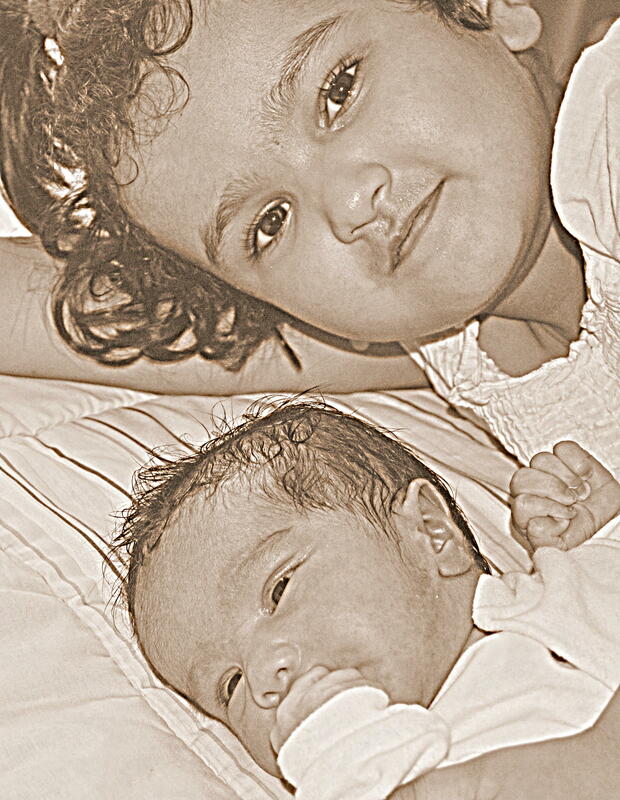 taking photographs or any ‘me’ time is scarce, but every time I see my children(wow! I love saying that!) I want time to stop, because I know they will not be my little babies forever! I still remember being with Zaara and know how quickly the first year goes by! A string of design posts wait to be published from my drafts section, hopefully the coming week. We will also have a project update soon!! I was at the last lap of my pregnancy.. called it a lap because of how uneventful this pregnancy was! Little one inside was thrust into every madness I was into! Worked till the very end, baked till the very end and even drove my car almost till the end. (not advisable!) Its just that when you have so many things to do and a toddler as active as Zaara, you cant just afford to slow down! Also why not make the most of everyday? May is a special month for me. Its a year since I started blogging, A year since I quit my job and started doing my own projects.Its the month of my birthday and also now the month my baby girl will celebrate hers! 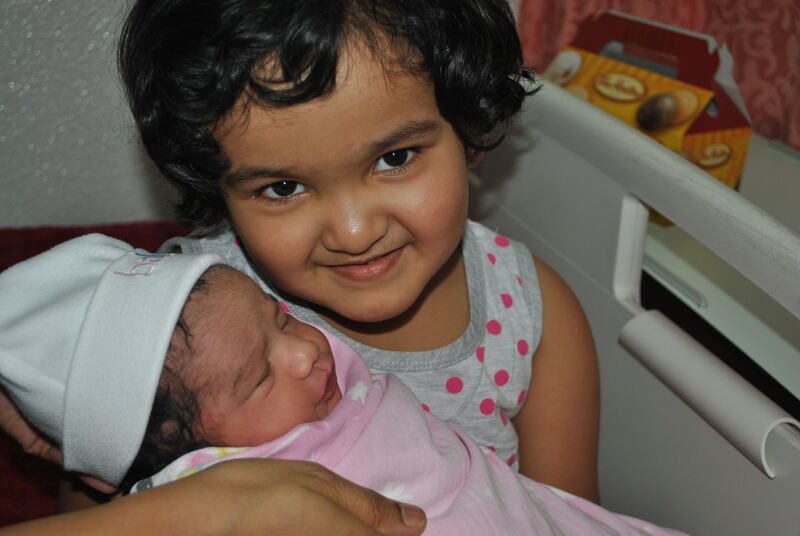 Zaara has her baby sister Aaira to join her! Aaira was born on May 2nd via C-section. Now we are back home and getting used to our new routine. 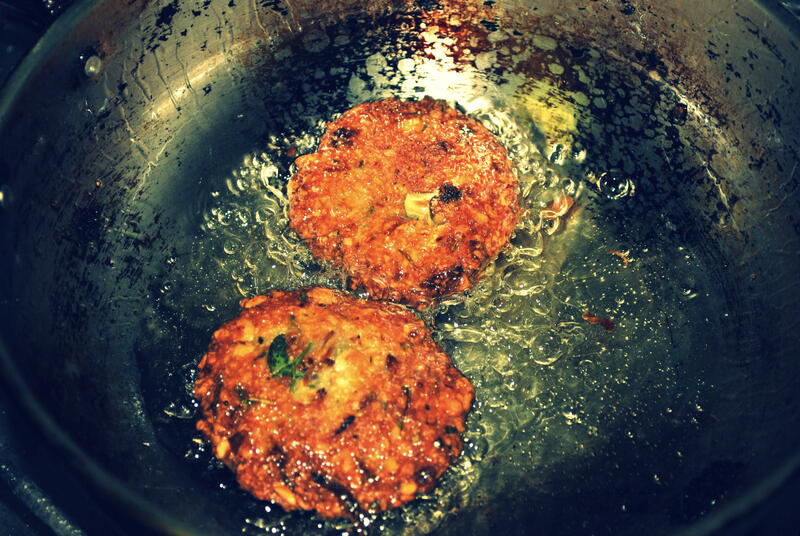 Here’s the recipe of My mum’s special parippu vada or Dal vada.At the last stages, all I wanted to have were these!!! peas parippu(the broken peas )- 2 cups Curry leaves – 2 stems Onion – As reqd Ginger – As reqd Green chillies – As reqd Salt – As reqd Oil for frying Wash and soak dal for one hour. Drain the dal ,There should be hardly any water left on the dal. If the dal is too wet, the vada will break apart. With a food processor, the grinding will be easy. Grind the dal and make a paste. In the last portion of your grinding (if you have a food processor), add the onions, ginger and curry leaves, so they get minced further. Mix the whole mixture well. 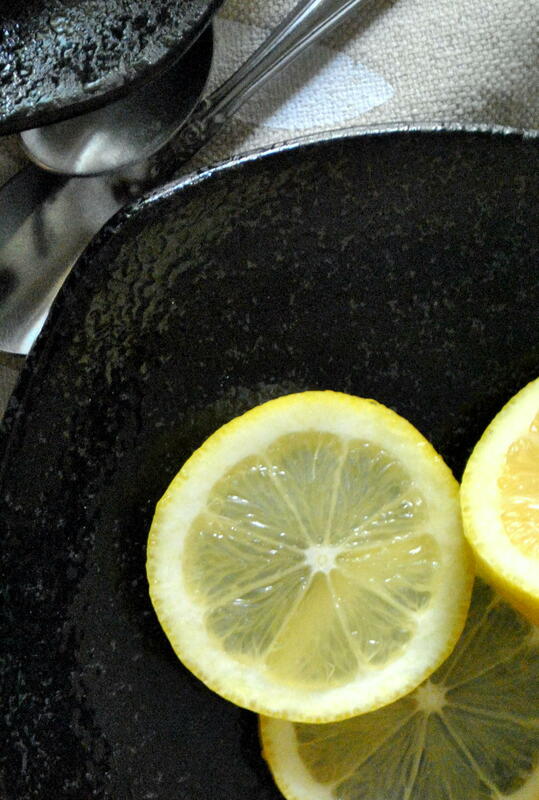 Add salt to taste Shape into patties and deep fry till Parippu Vada (Dal Vada) become golden brown. Serve with chutney or plain old tomato ketchup.. I love the vadas with a hot cuppa chai! My parents are here with us, helping us with the baby and its been a amazing month. Cant believe its been a month since all the pampering..You just cant get enough of it..can you? Sneak peek of whats coming soon…. I cant wait to show You more about my new project..
Its a very beautiful home I designed for a very beautiful family.. I have never done anything like this before,and I want to take you with me on a journey, where I show you how a design starts, how visuals are done then drawings and execution to the minutest detail and finally how splendid the interiors look. If you have a vision, I am here to help you fulfill it.. 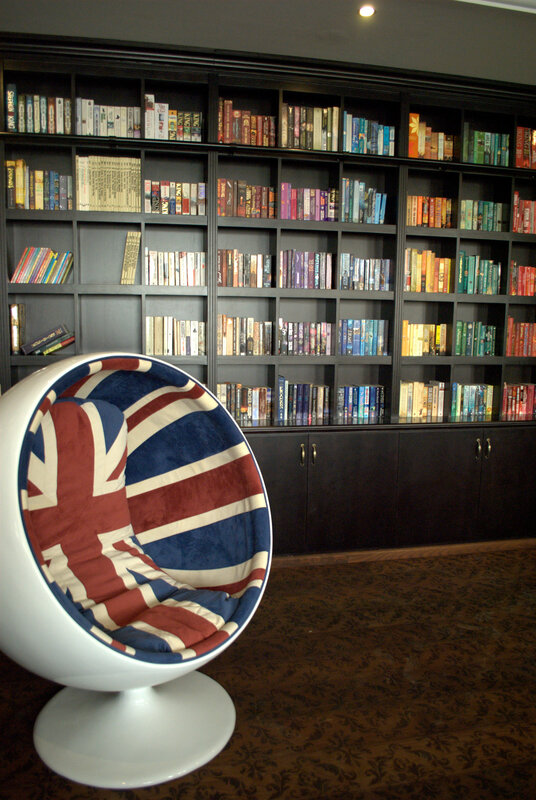 I promise..
Hope you like the littlr sneak peek of the library!.. I promise you this will be worth the wait!